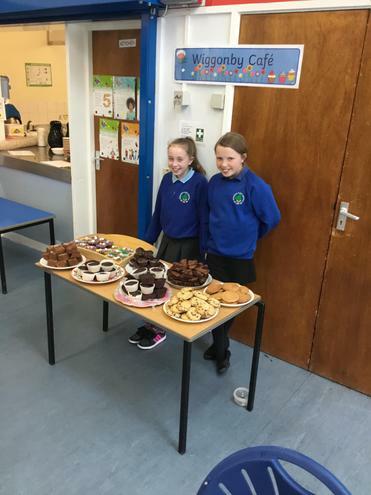 In our recent R.E. 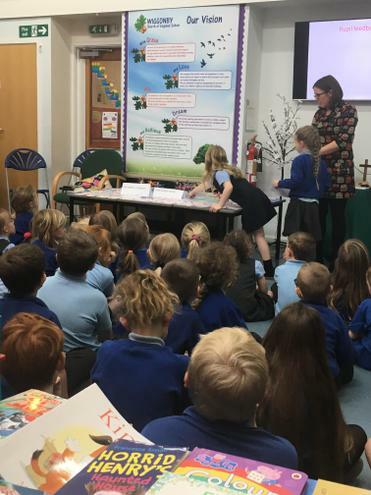 lessons, we have been thinking about ‘The Kingdom of God’. 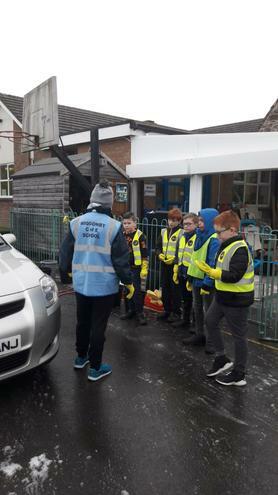 As part of our studies, we have been discovering how Christians around the world try to make a difference to the lives of others; the work of Christian Aid (a global charity) and St James’ Church (Denton Holme) inspired us to do our bit for the local community. 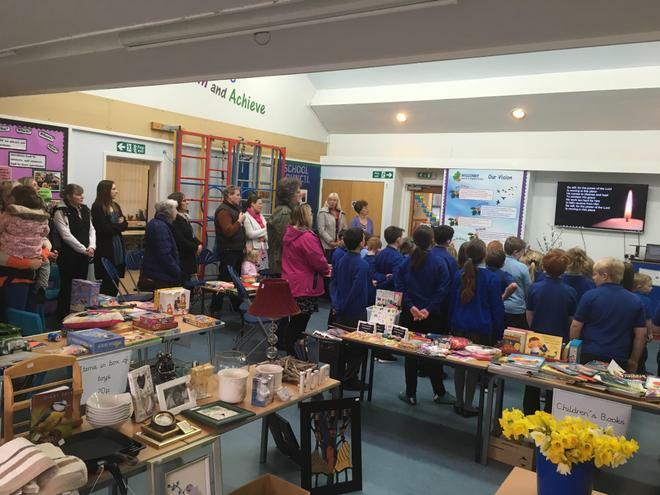 As a result, we decided to open a 'one day only' pop-up charity shop to raise funds for Carlisle Foodbank. 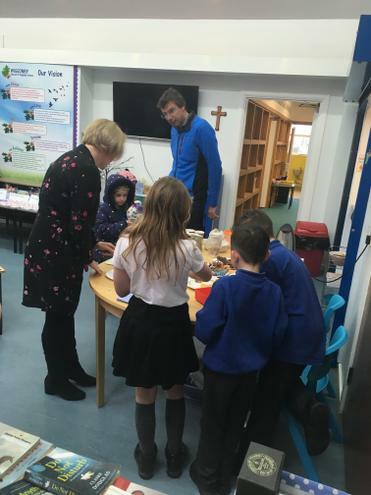 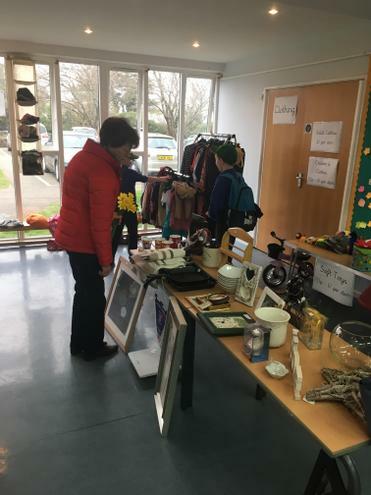 On the same day, we also made a selection of freshly baked goods and unique craft items for customers to purchase, along with a hot or cold drink in our cafe. 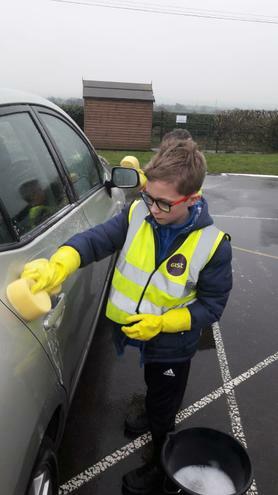 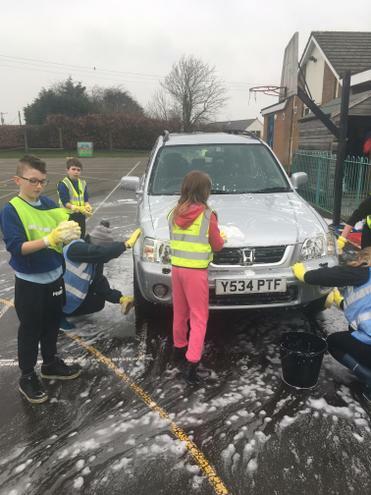 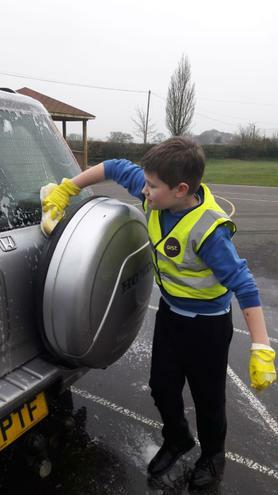 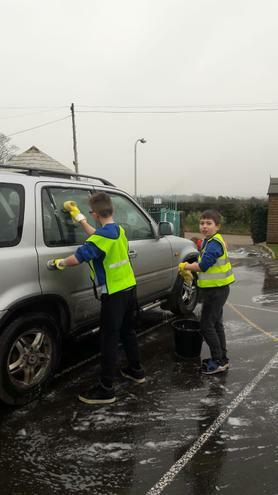 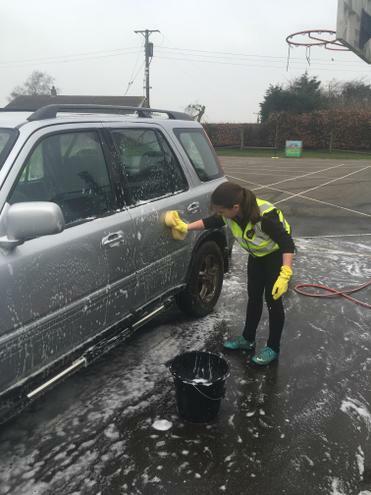 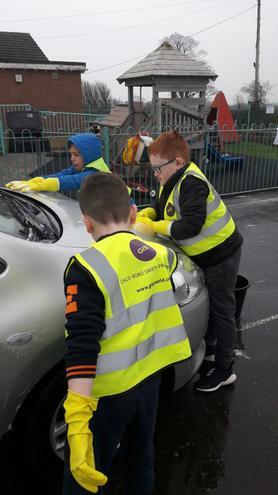 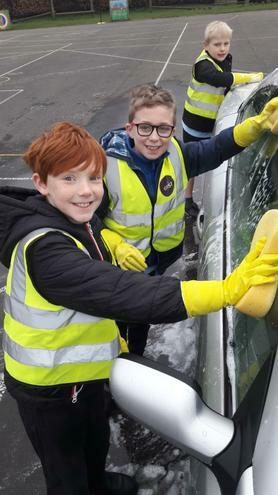 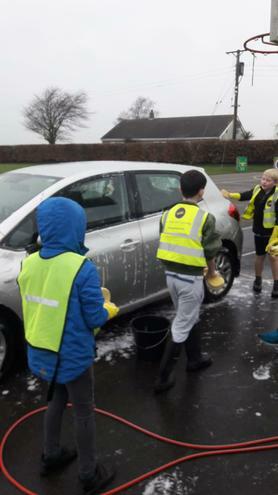 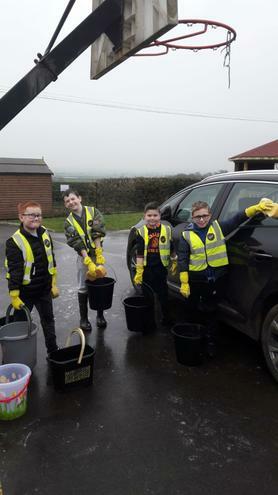 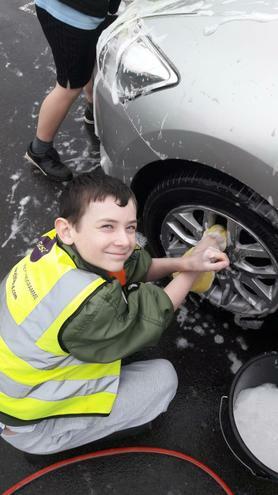 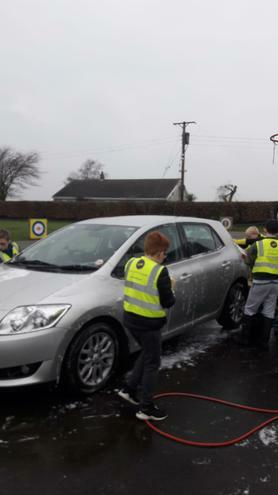 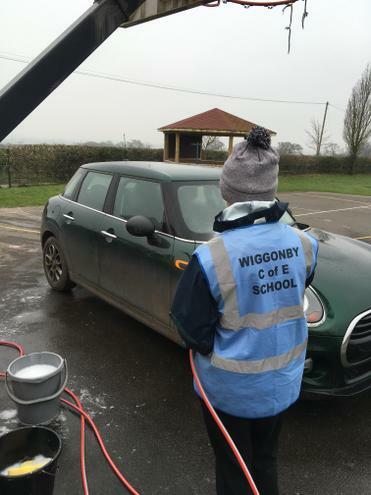 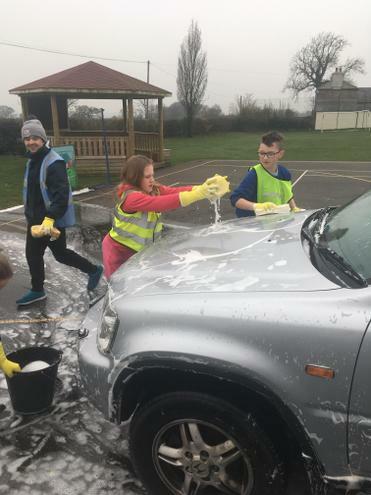 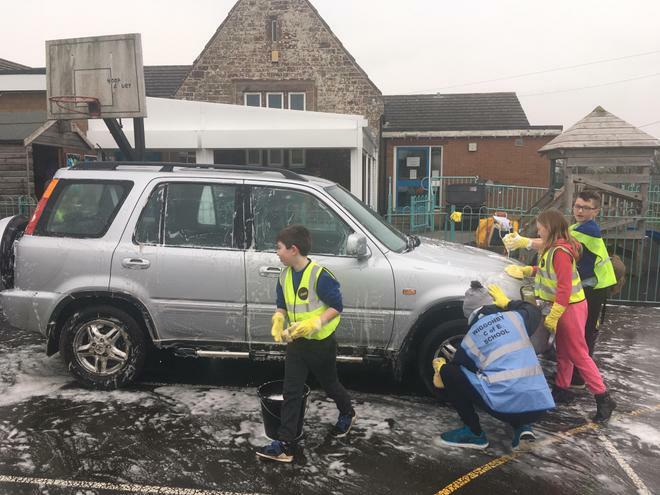 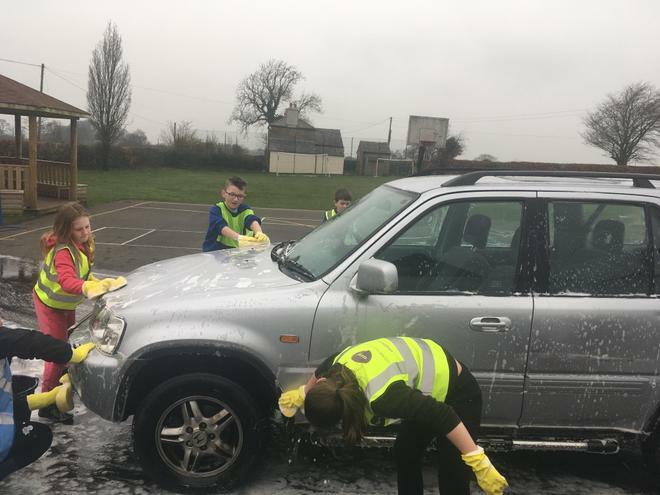 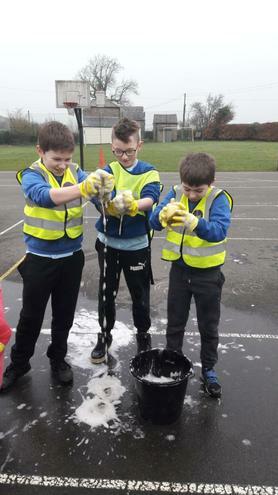 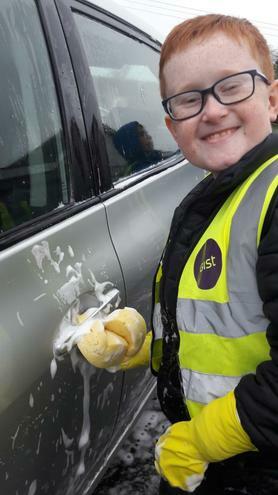 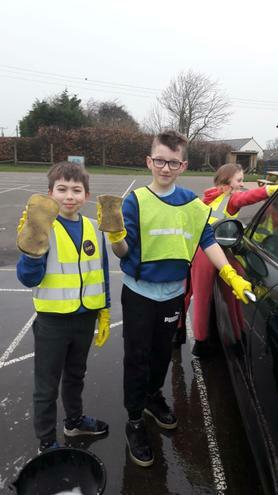 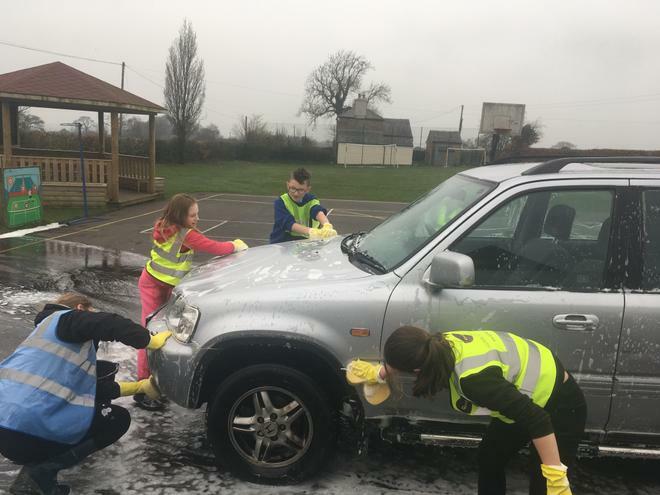 If that wasn't enough, we also offered the chance for customers to get their car washed, for a small fee, while they perused the shop’s items. 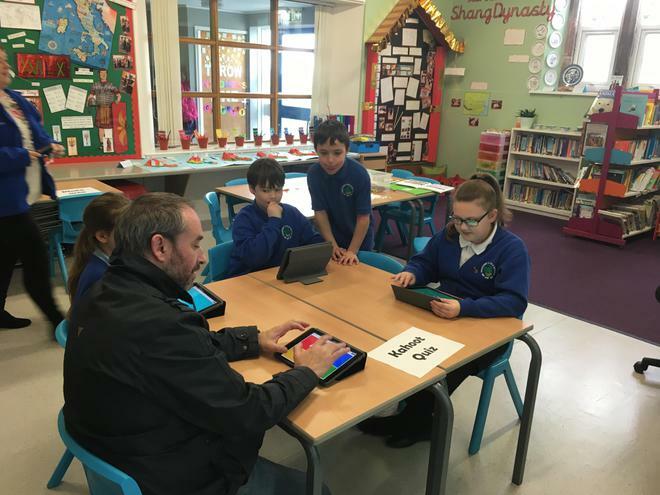 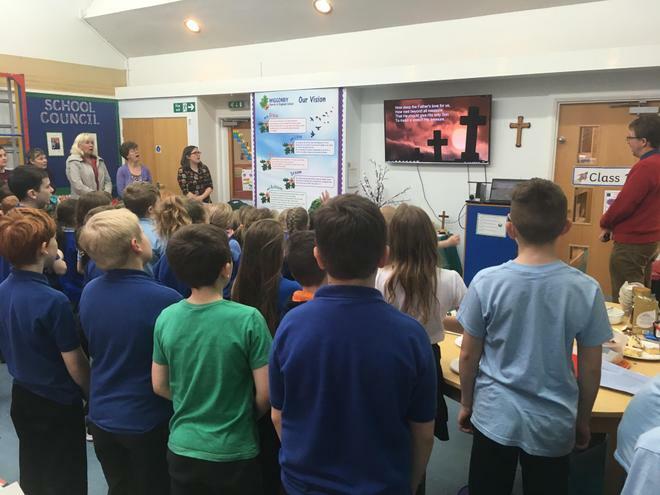 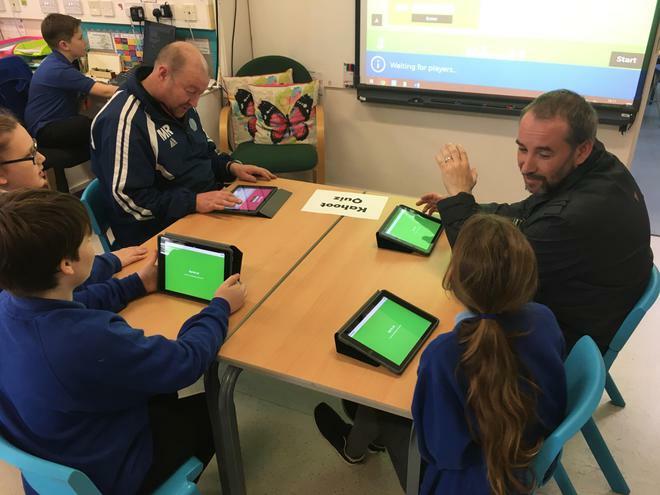 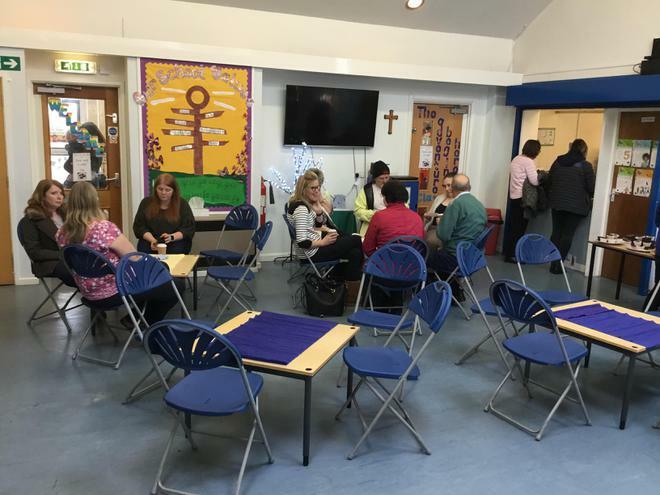 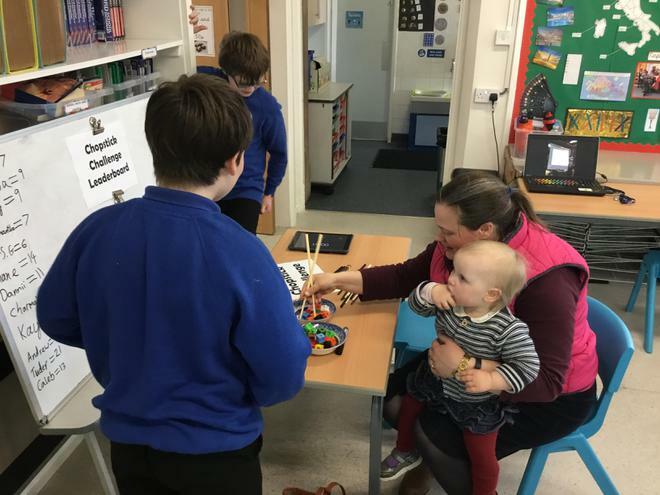 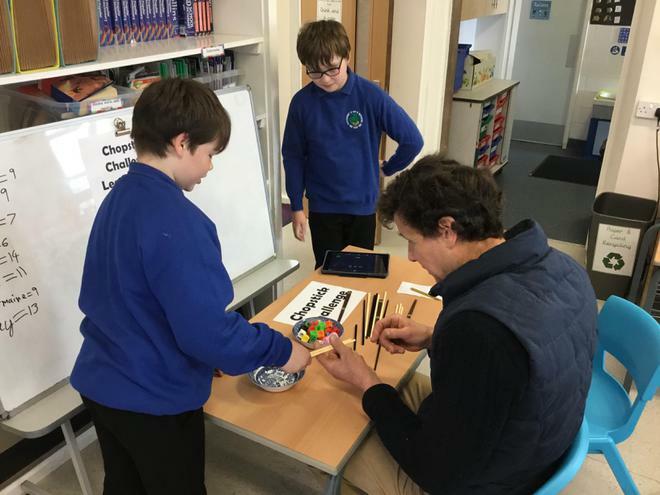 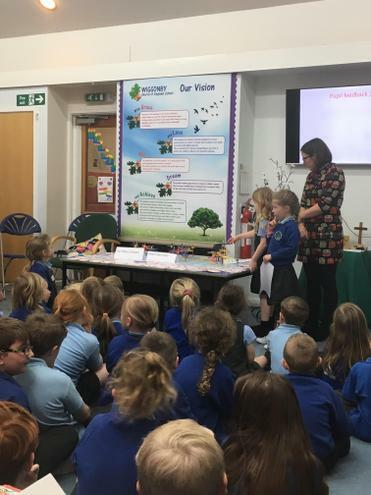 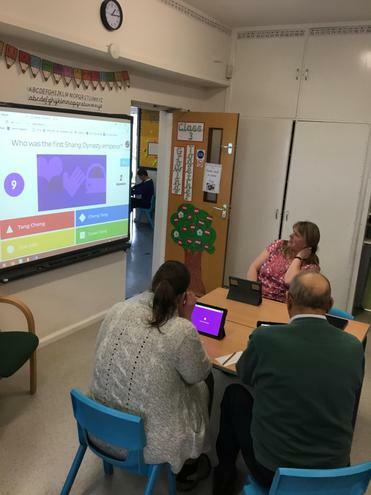 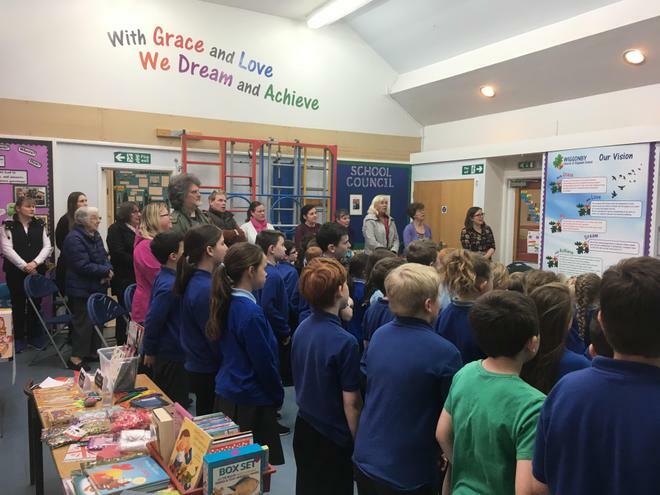 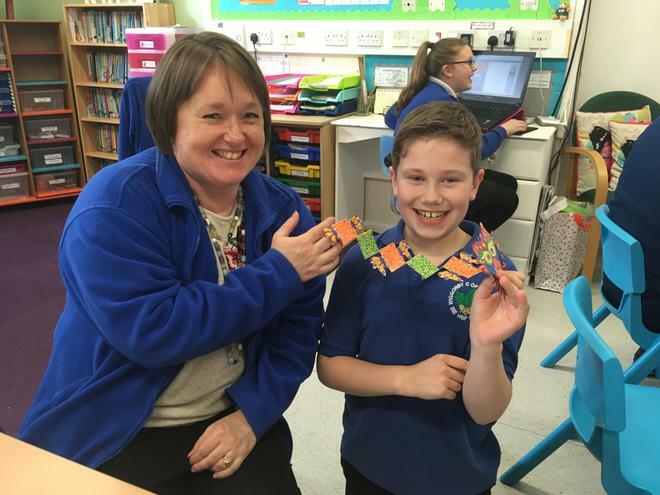 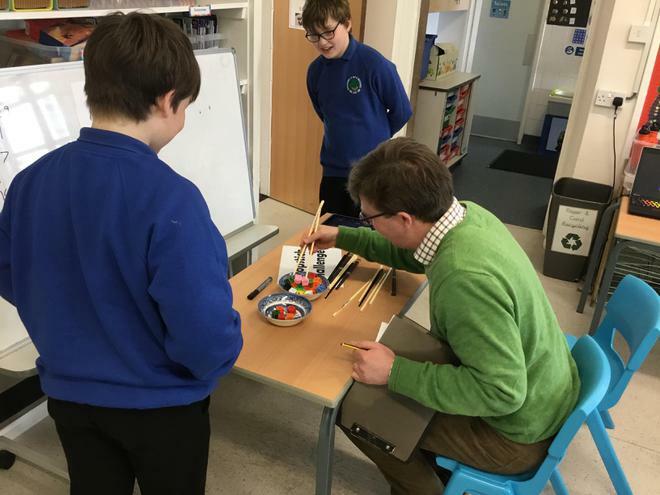 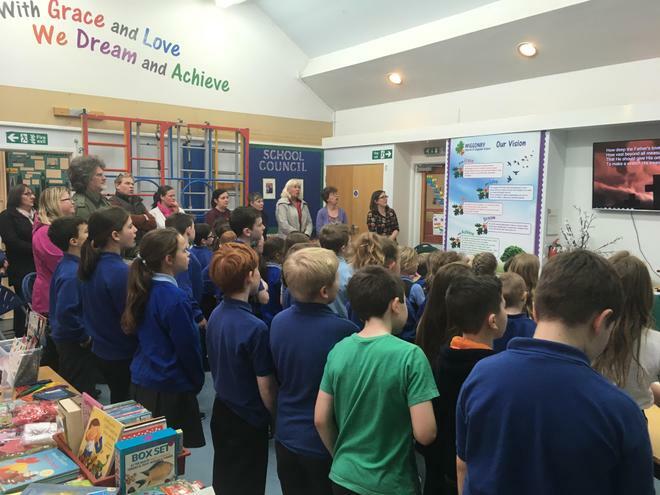 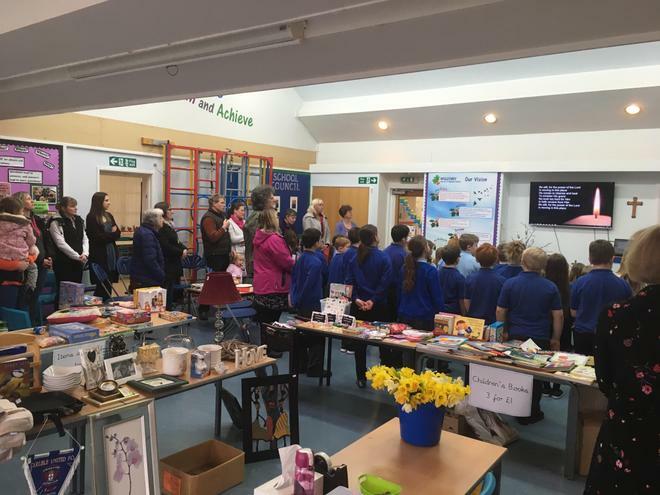 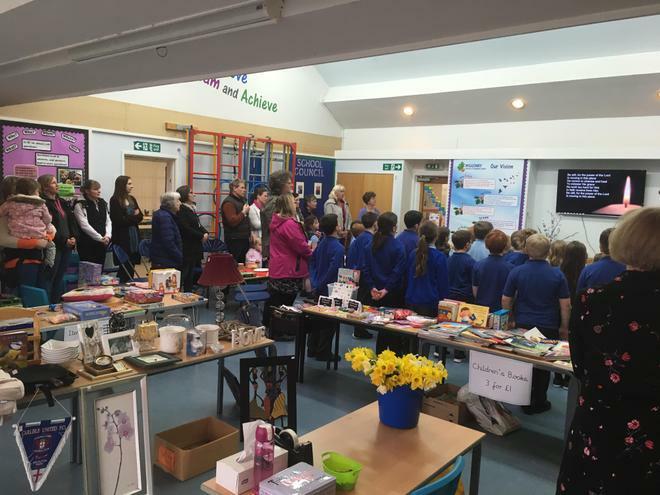 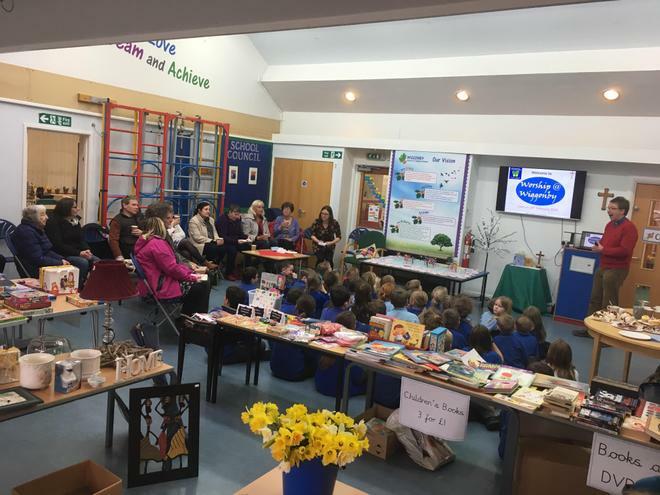 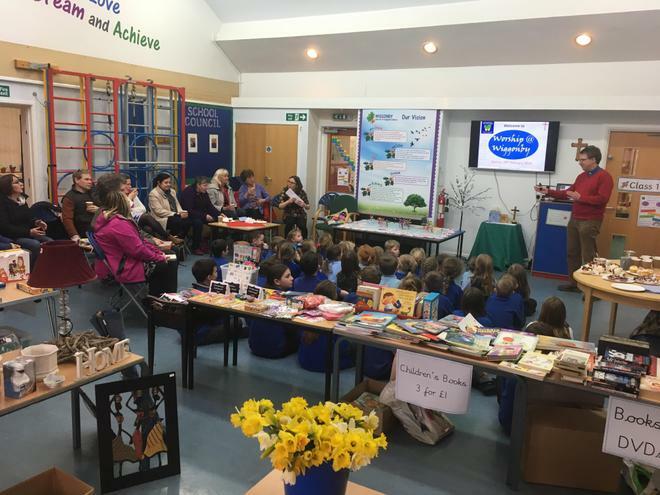 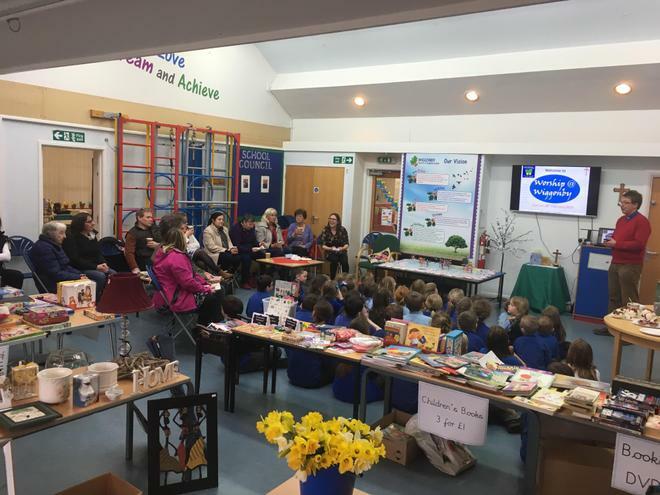 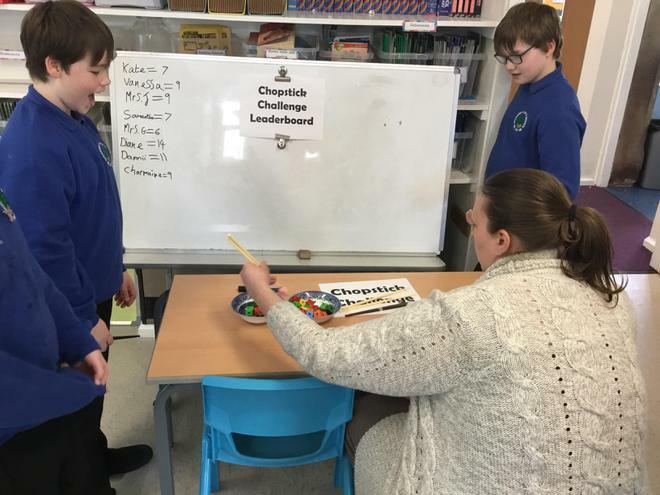 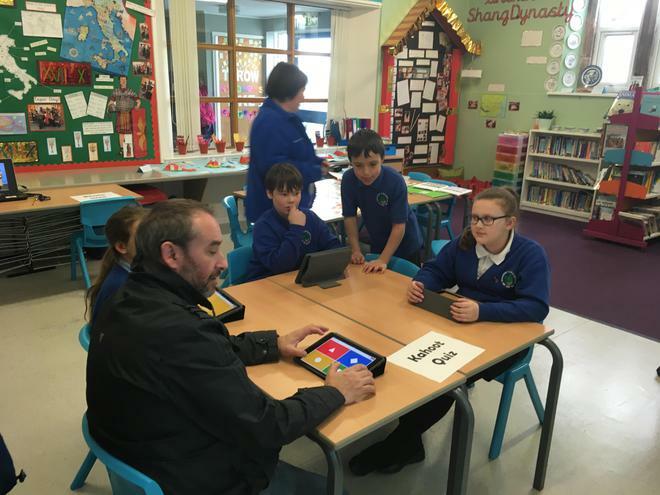 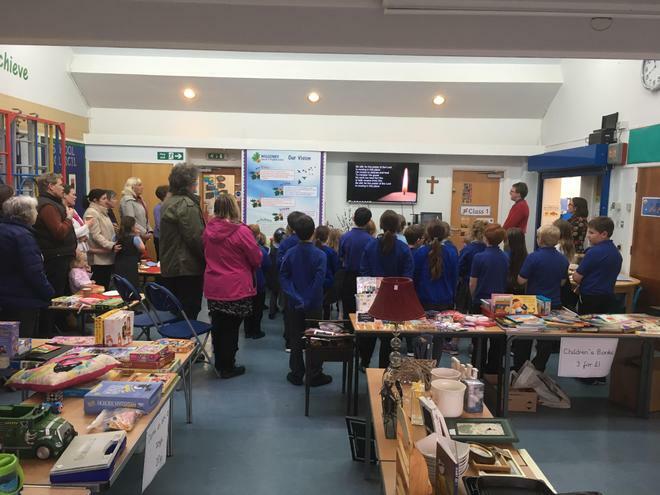 The day was a huge success which was celebrated across the county, as Charlotte (Y6) and Miss Vaughan spoke about it LIVE on BBC Radio Cumbria. 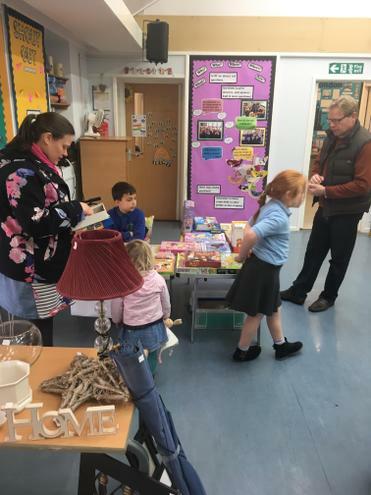 We raised a whopping £450 for Carlisle Foodbank thanks to the generosity of our families and community. 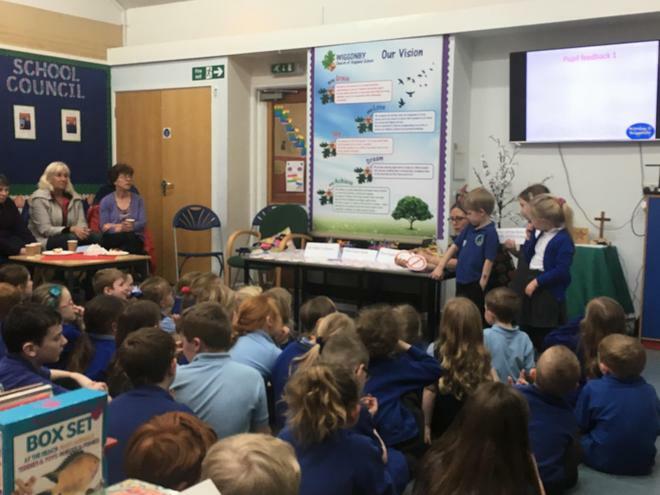 We are looking forward to going to the foodbank to present the cheque and to help prepare food parcels for those in need. 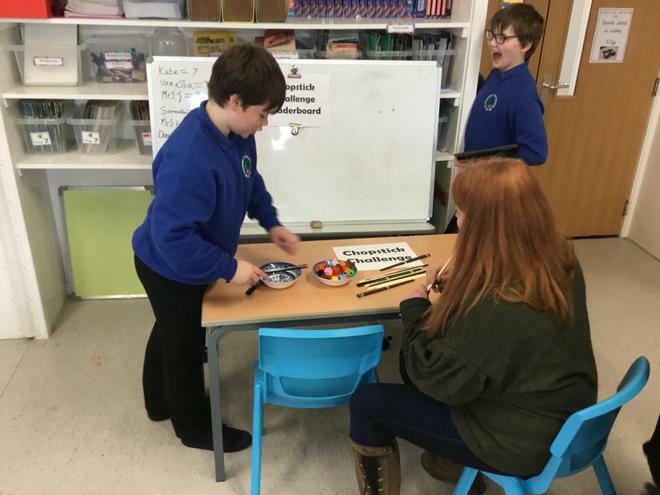 This year in Class 3 we have all started to learn the recorder. 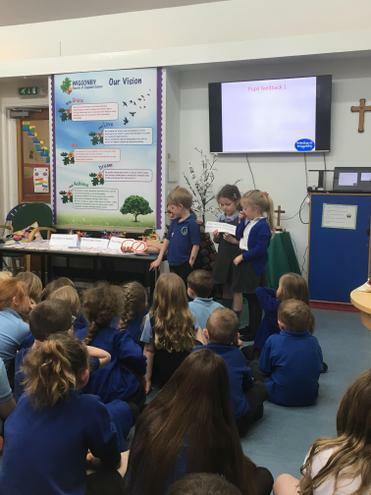 We each have our own recorder meaning that we can learn new things at school and then practise them at home. 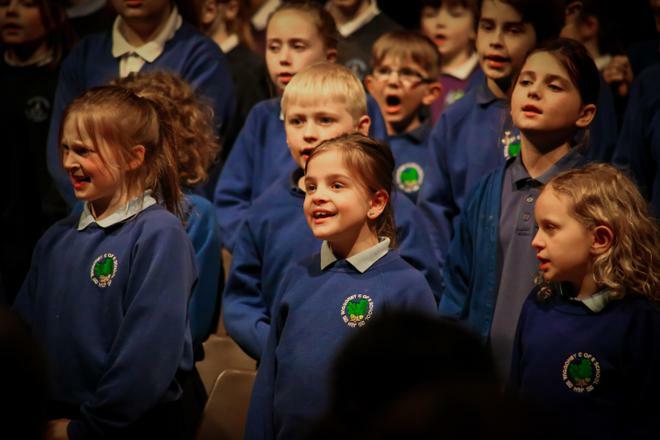 We have begun to learn formal musical notation as well as learning pieces by ear to develop a range of musical skills. 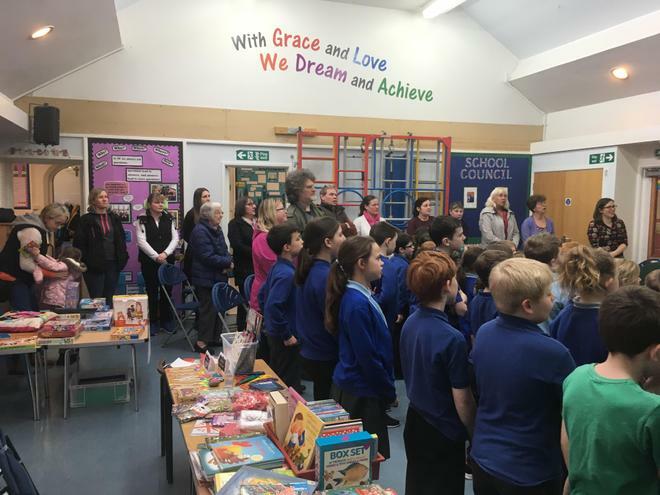 Our debut performance was in our Christmas play 'Silent Night', during which we played 'Jingle Bells' to our friends, families and community. 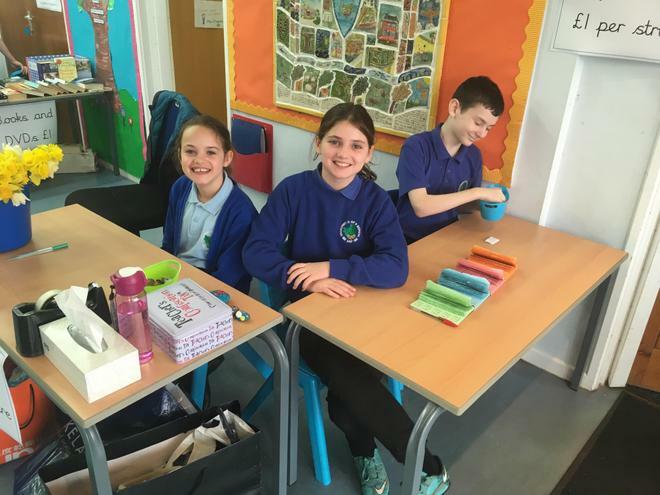 We look forward to learning more! 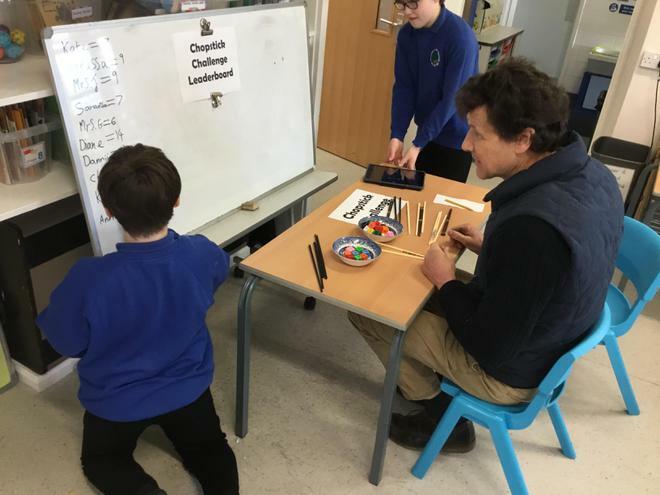 We learned 'It's me O Lord' on the recorder, and more musical notation, during the Spring Term. 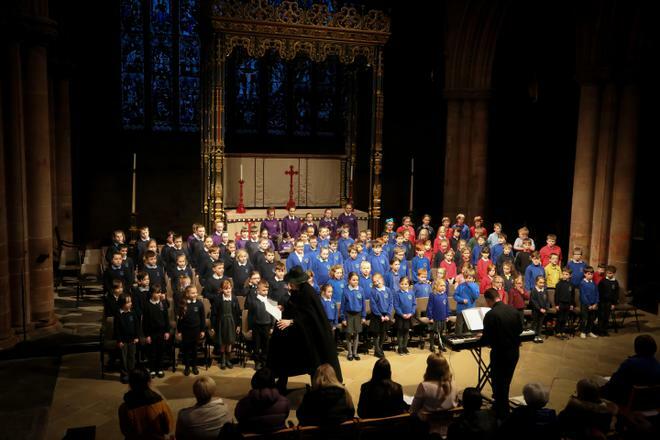 We enjoyed performing this piece in our Easter Service at St Andrew's Church. 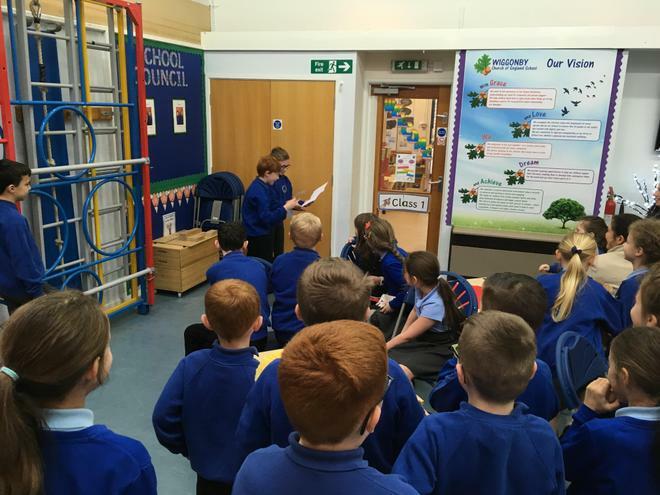 We were really proud of the performance we gave, especially as we were in a different setting to normal. 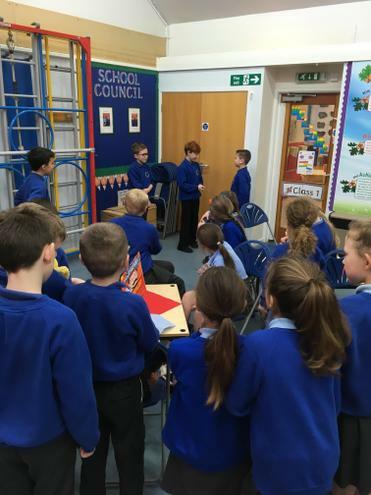 We spent two terms working on the award and we developed many leadership and communication skills along the way. 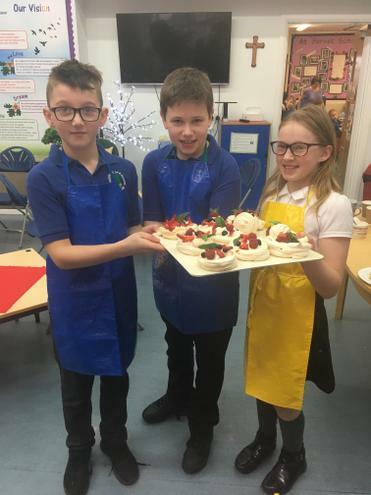 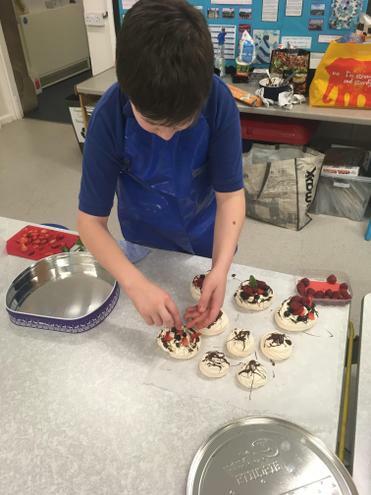 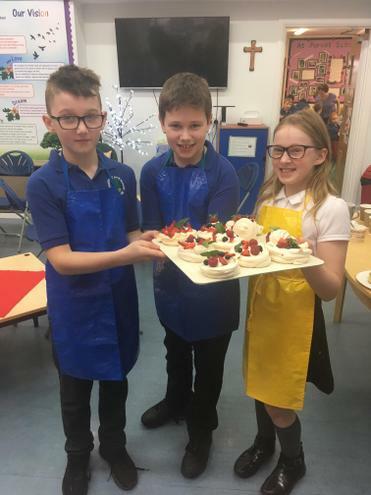 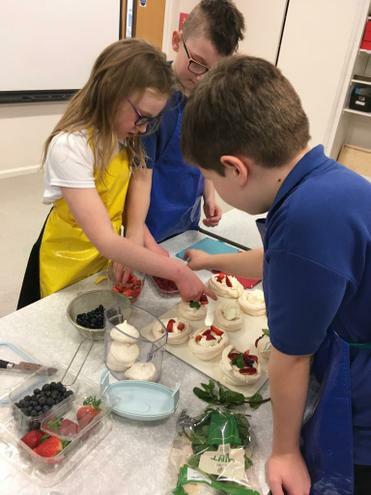 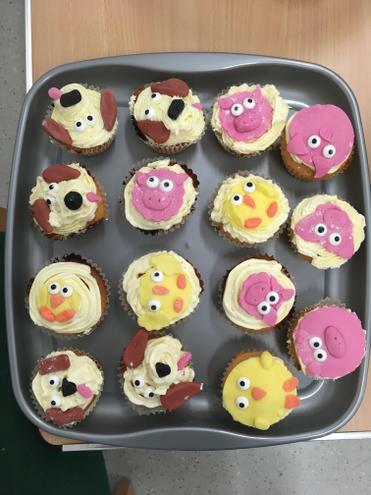 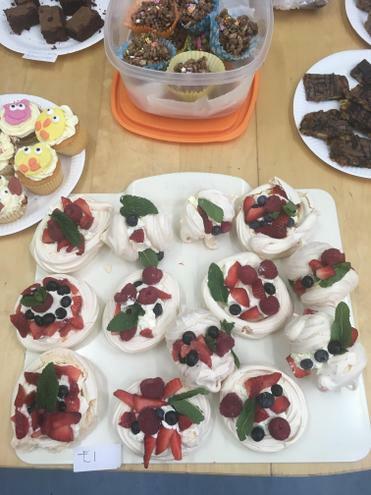 We decided that for our final project we would like to bring a smile to our community by baking a huge afternoon tea. 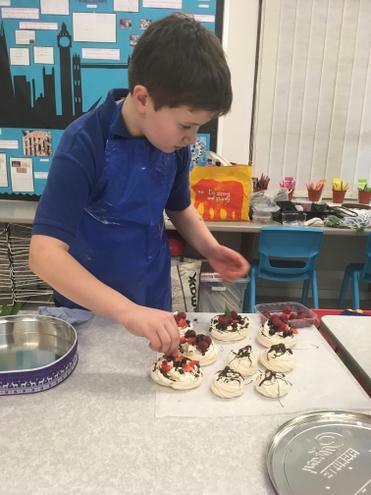 In 4 hours we baked scones, Victoria sponge cakes and sausage plaits and made cheese savoury and cucumber sandwiches. 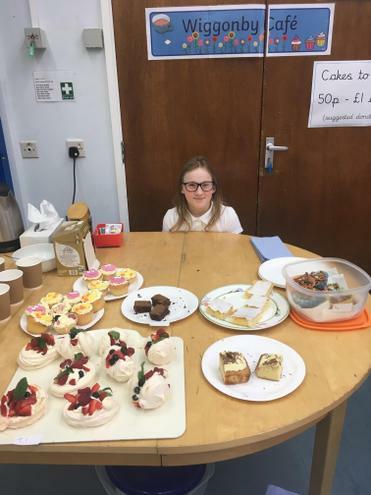 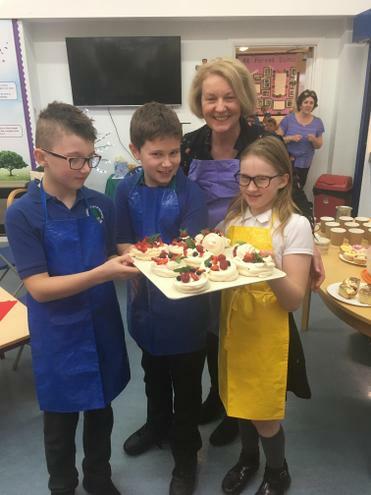 In total, we made 40 individual afternoon teas which were sent to Eden Valley Hospice for the patients, their families and the hardworking staff to enjoy. 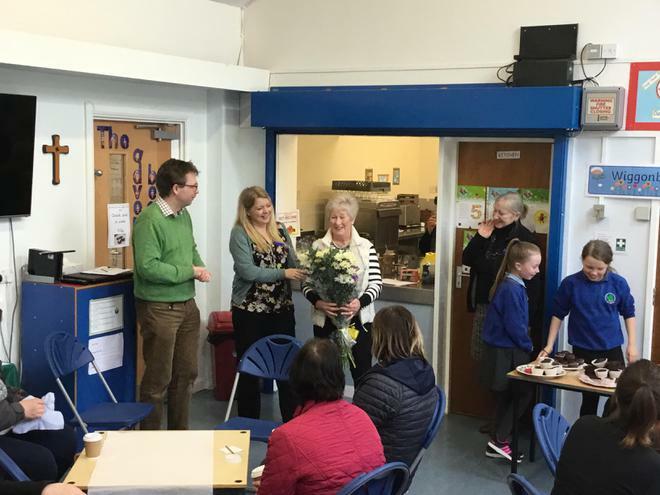 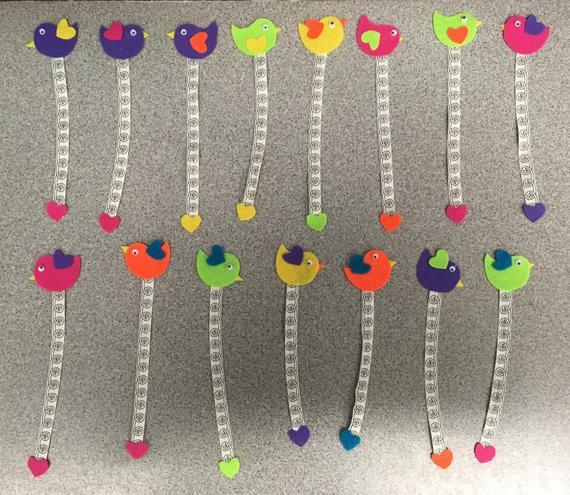 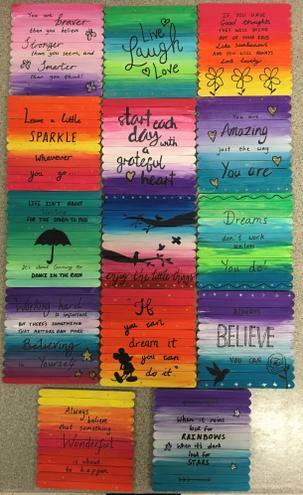 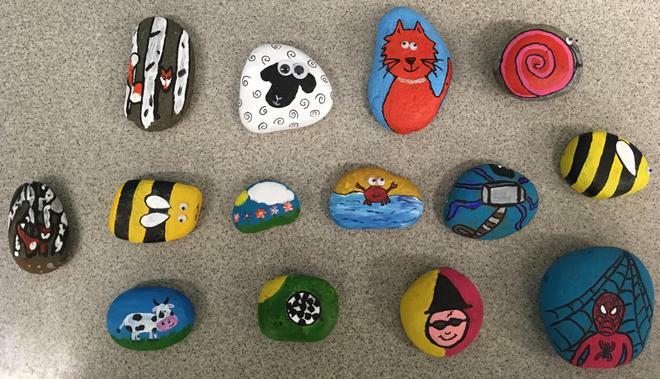 We hoped that this small gesture might brighten someone's day. 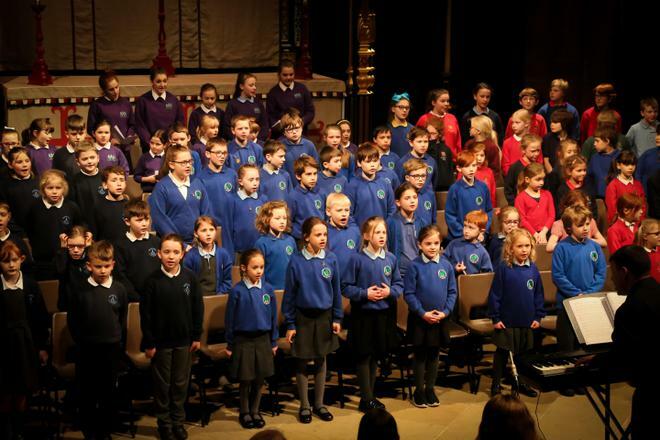 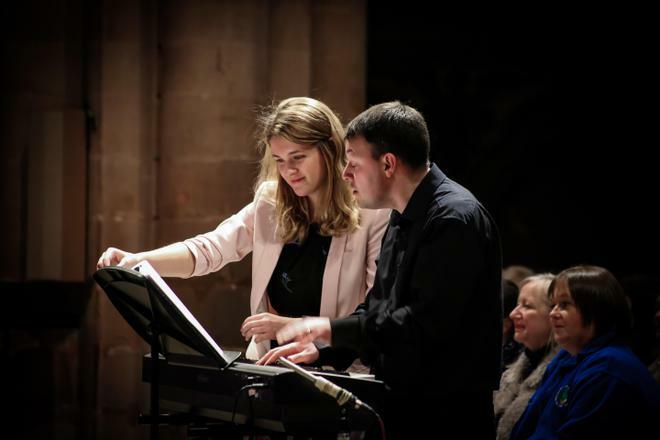 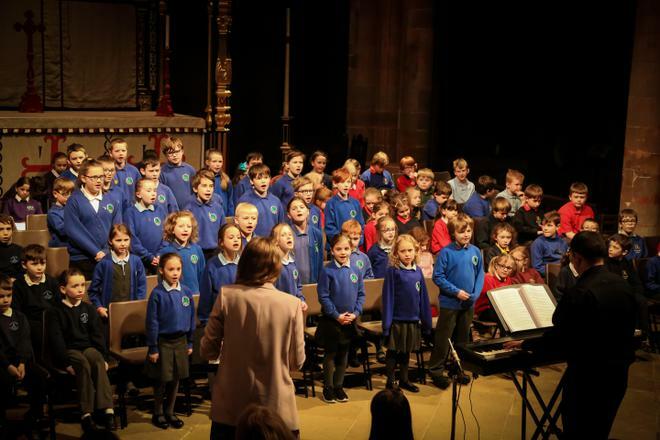 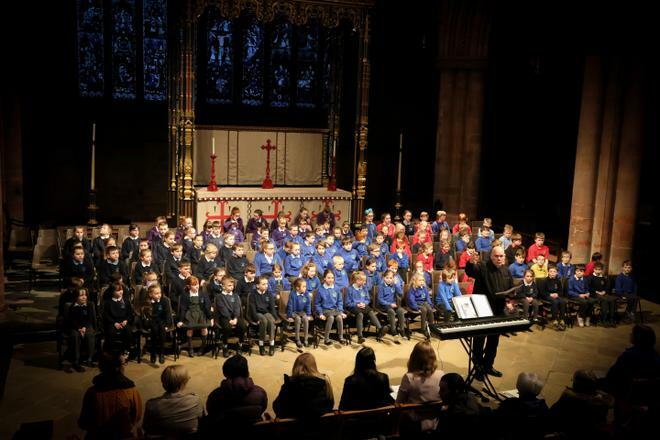 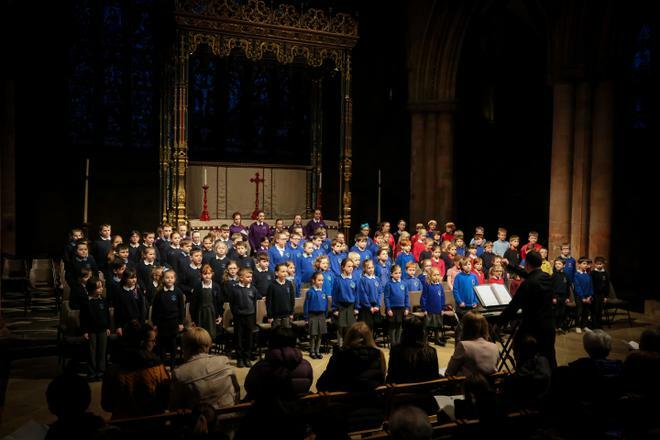 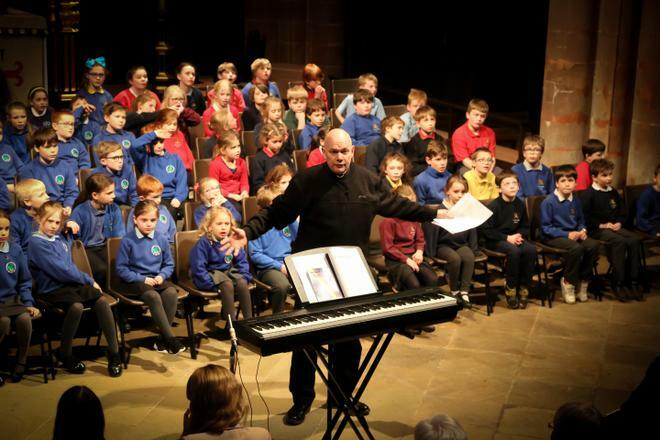 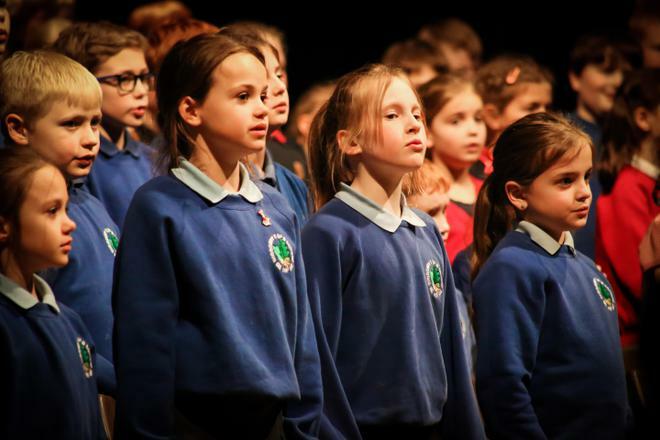 Alongside our peers in Class 2, we took part in Carlisle Cathedral's Music Outreach Programme. 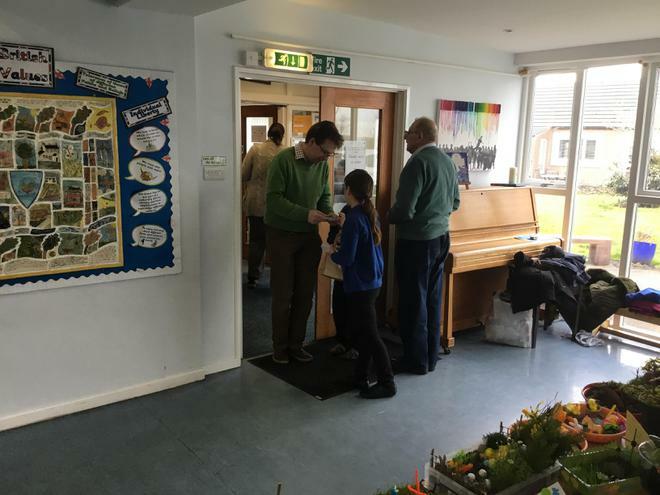 During the spring term, we formed a choir and rehearsed with Ed Taylor (assistant organist), learning a variety of songs from the shows. 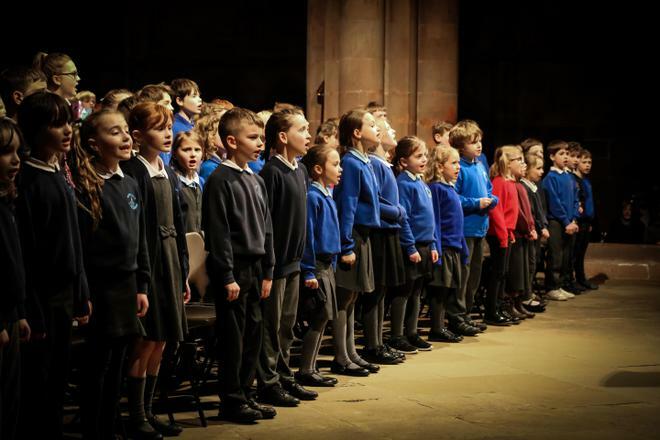 This choral tuition was excellent and we all developed as musicians; the progress from the beginning to end of the programme was incredible. 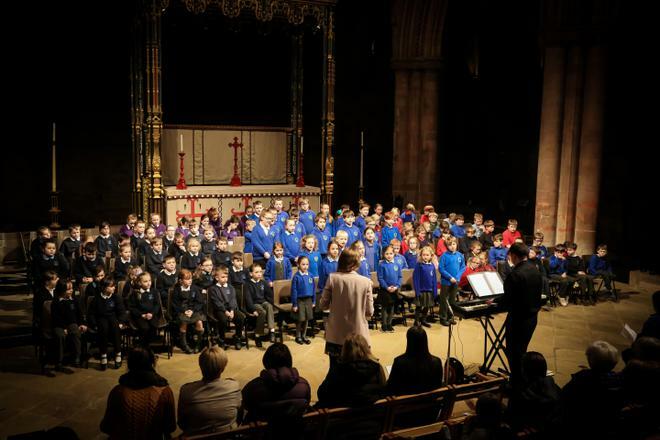 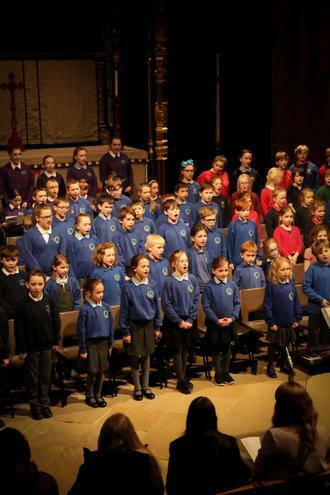 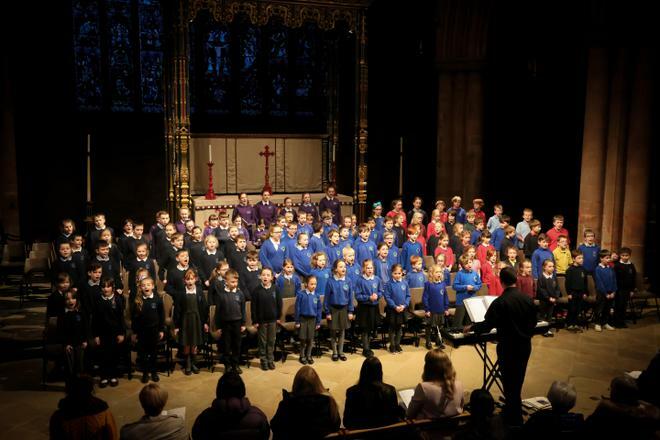 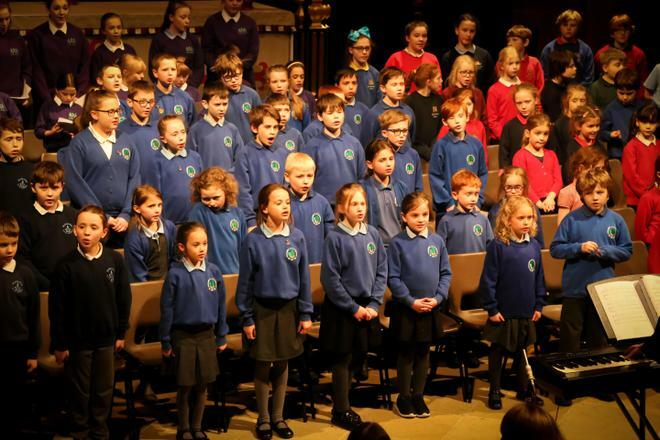 Our hard work was then showcased in a multi-schools concert in the cathedral at the end of term. 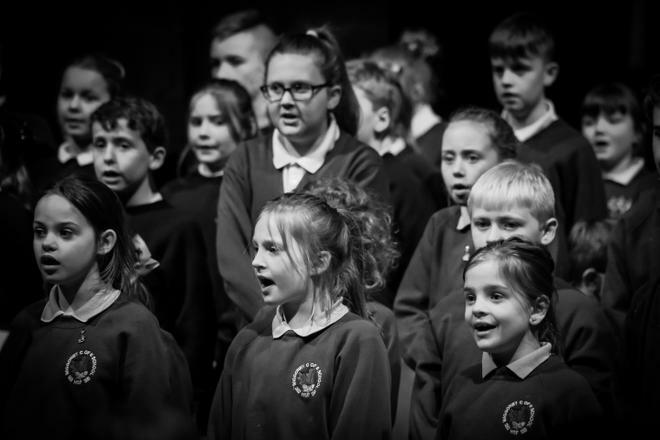 In front of a vast audience, we performed our memorised solo and ensemble pieces - songs included 'The Bare Necessities', 'Phantom of the Opera' and 'Chitty Chitty Bang Bang'. 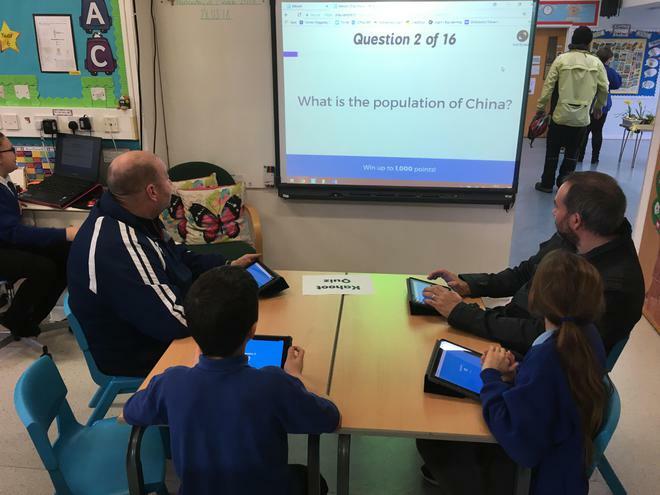 As part of our China and the Shang Dynasty topic, we set up our own Chinese museum for the community. 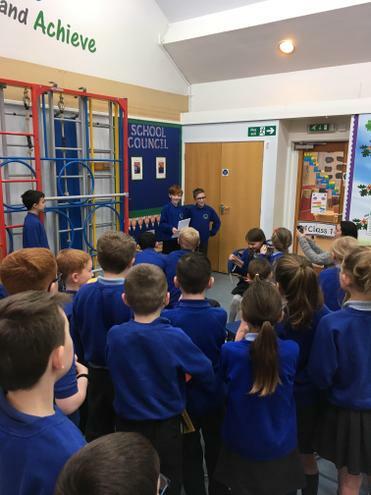 We each took on different roles and while some of us lead tours of the school and our museum, others were exhibit and activity leaders. 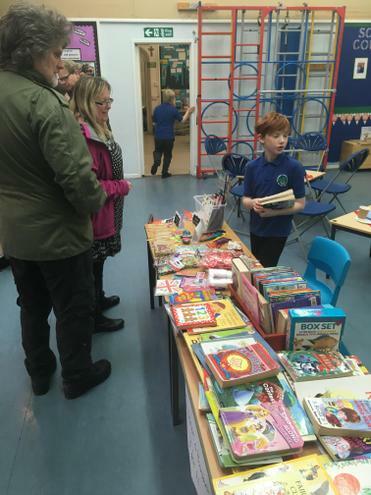 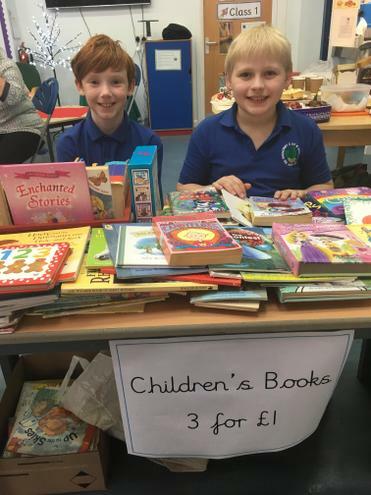 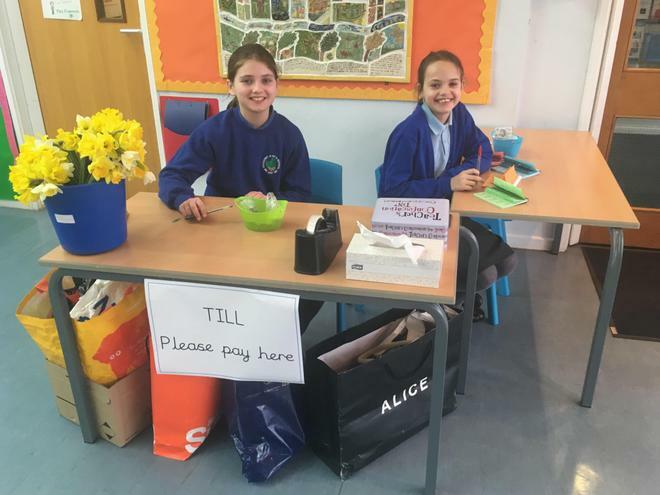 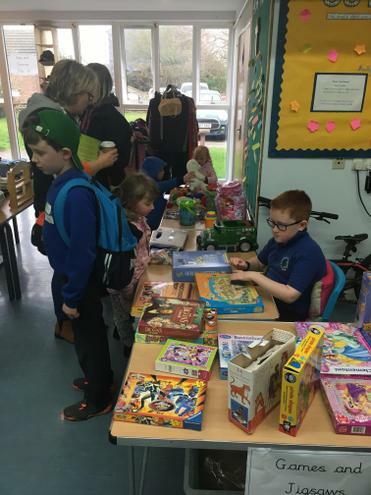 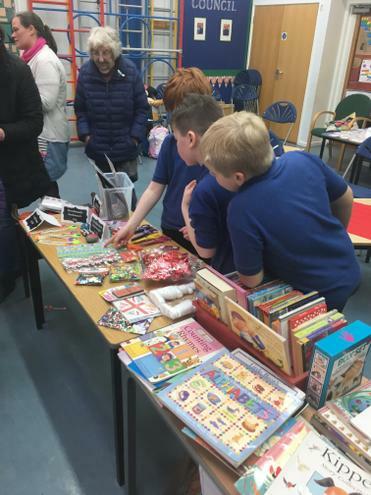 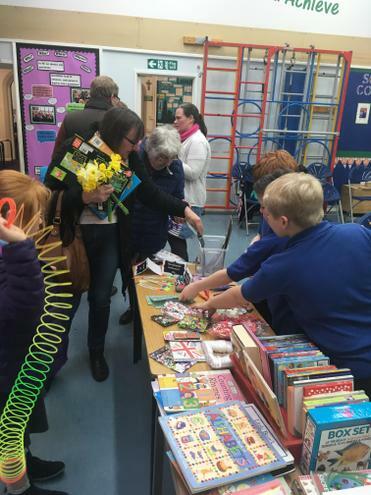 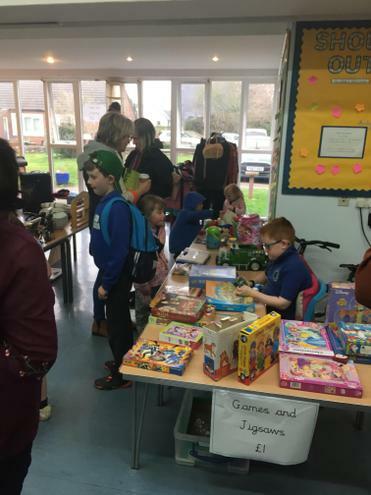 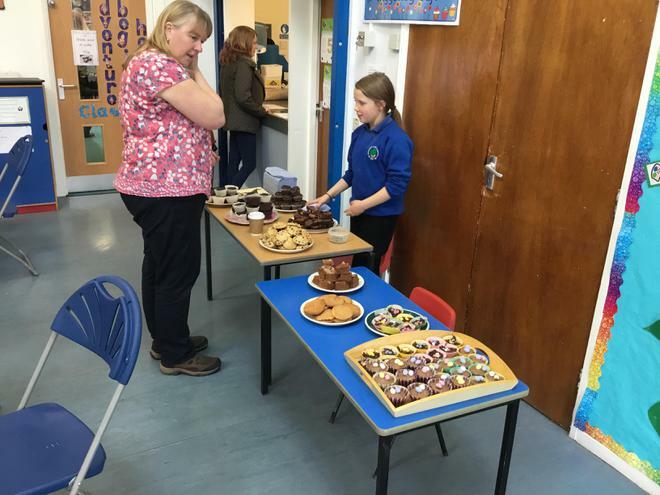 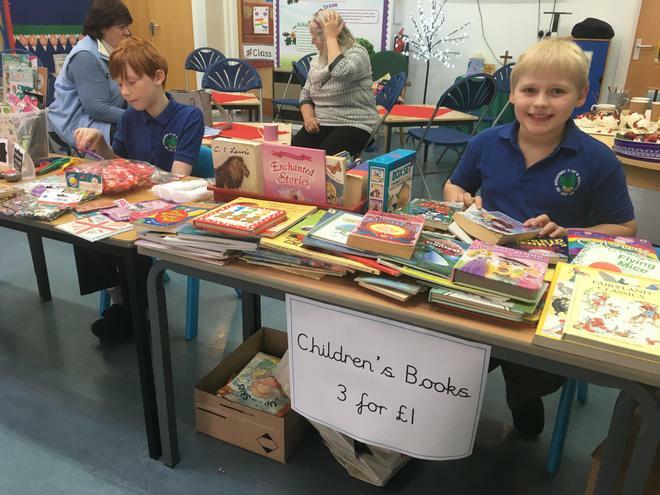 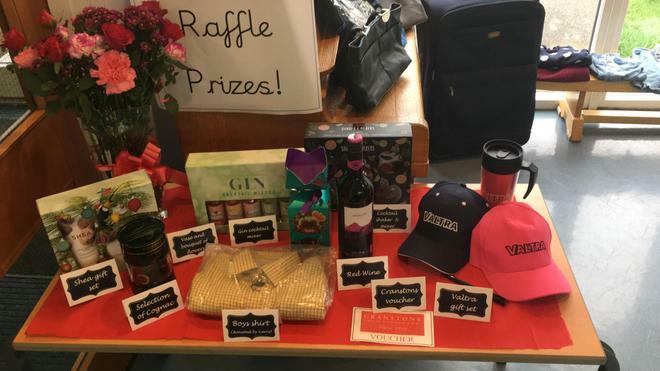 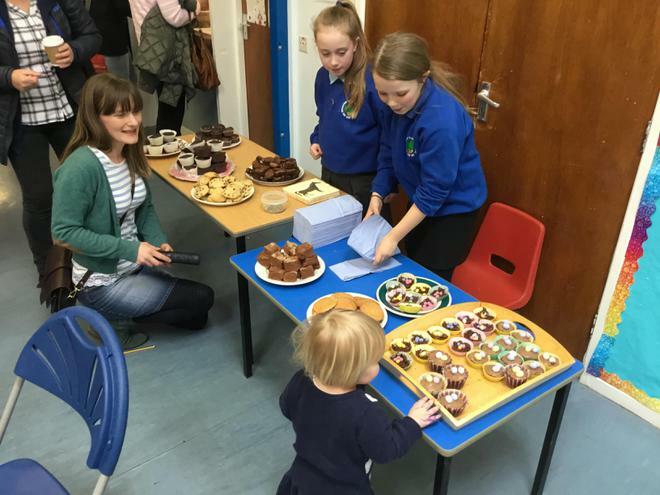 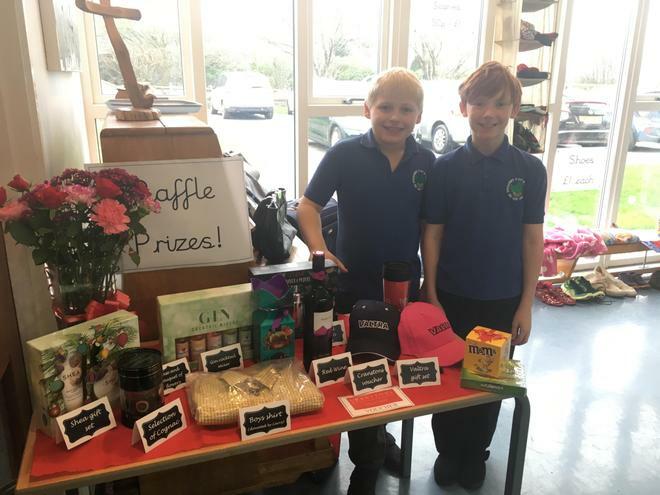 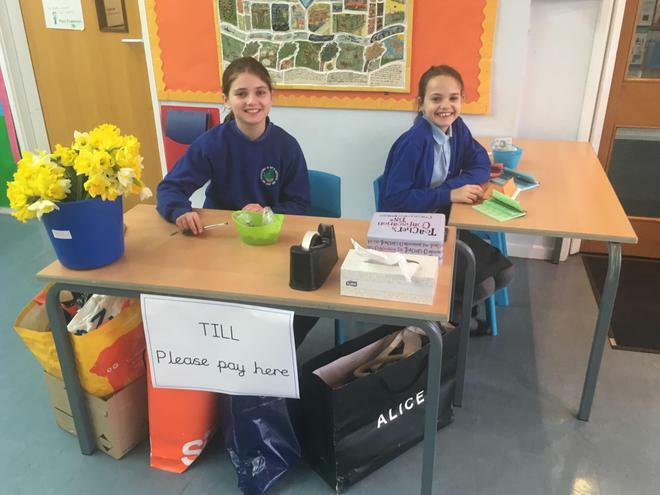 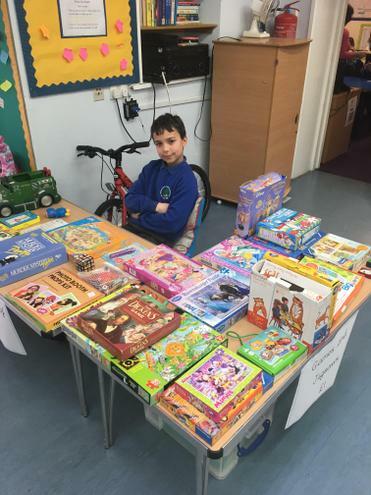 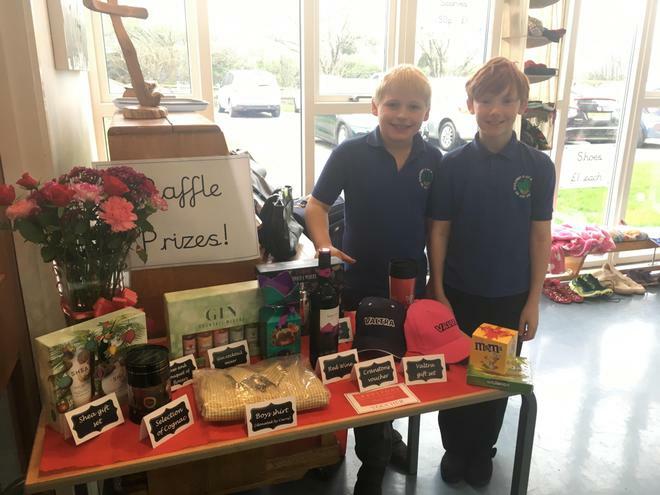 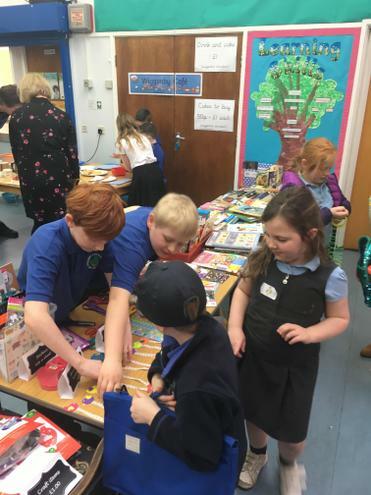 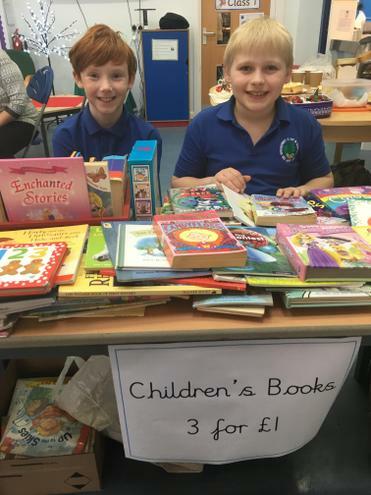 We also ran a raffle and cake stall and we managed to raise over £120 for our school! 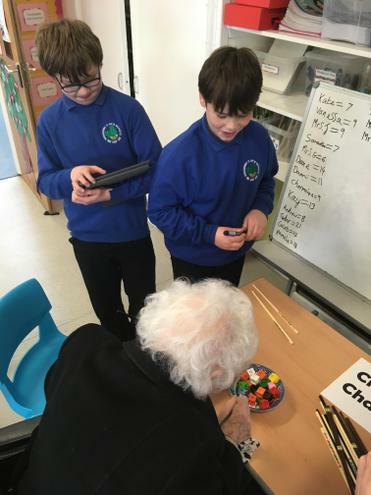 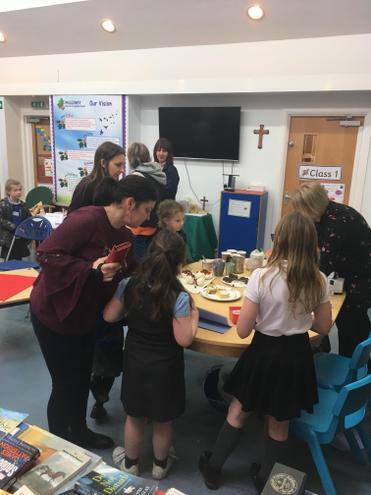 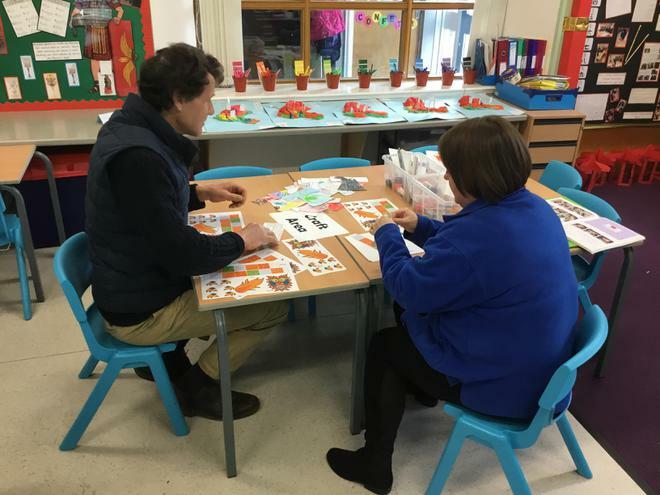 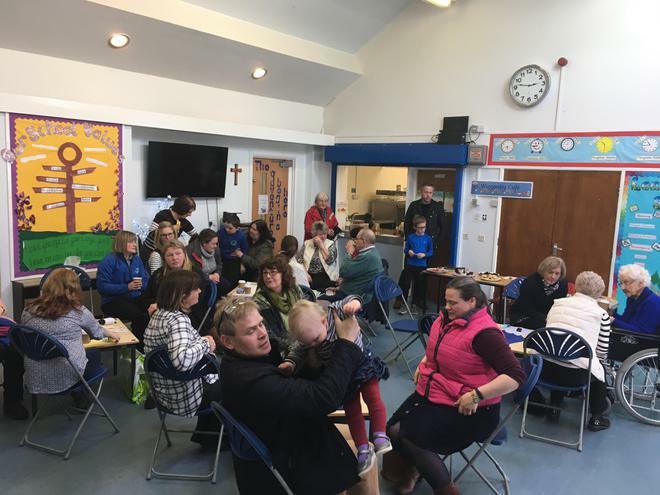 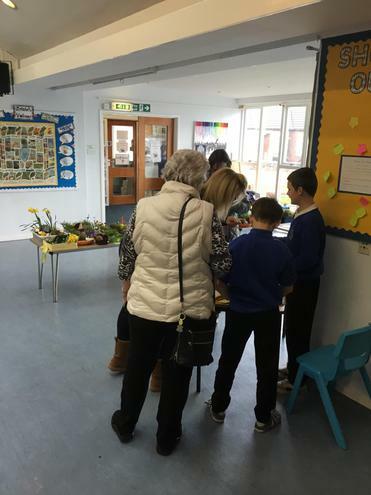 The museum had lots of visitors and we were pleased to see many of them taking part in the different activities we had planned. 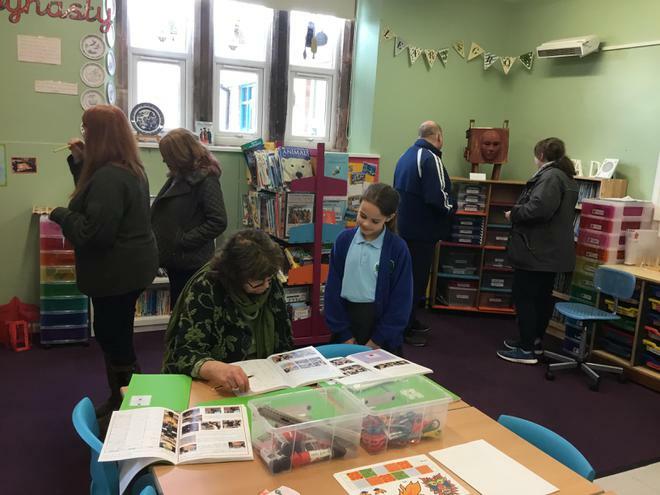 Photo Gallery (visitors could sit and enjoy looking at photographs from our recent trip to Tullie House). 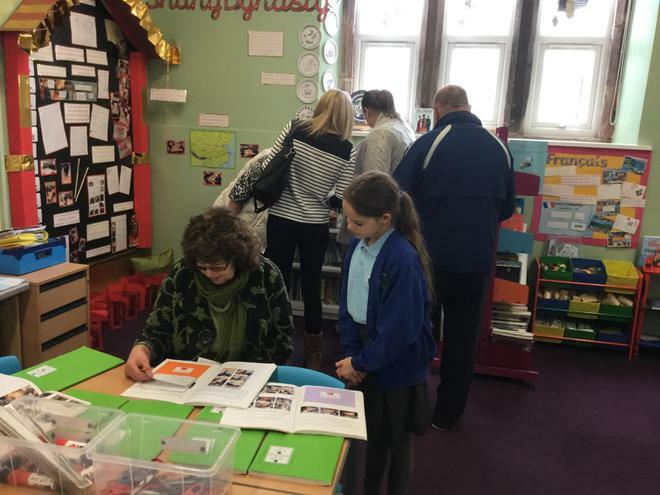 We want to say a big thank you to everyone that helped and came along to our Chinese museum! 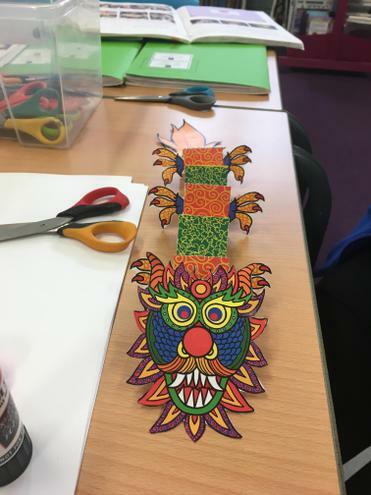 Great North Museum: Hancock (Newcastle).